Muhammed Ali: Could He Match Up With Today's Top Heavyweights? For many boxing fans, the question of whether a prime Muhammed Ali (21-25 years-old) could compete against the top heavyweights in the current era of boxing, remains an interesting curiosity. Most old timers see Ali as unbeatable earlier in his career, the type of fighter that could perhaps beat any fighter in any era, no matter the size difference between them. However, I see things a little different than most. Ali, while a great champion during his time, he was after all a small heavyweight, weighing around 205 lbs during his prime years. Basically, Ali was another clone of Chris Byrd, maybe a little faster, I give you that, but not anymore powerful than Byrd. Ali did well against the fighters of his time, the slow and crude Sonny Liston, George Chuvalo, Jerry Quarry and Joe Frazier, to name just a few. However, none of those heavyweights compare to the super heavyweights of this day and age, which makes it hard for me to give Ali much of a change against Wladimir Klitschko, Sultan Ibragimov, Alexander Povetkin, Alexander Dimitrenko, Ruslan Chagaev, Oleg Maskaev or Samuel Peter. Those guys are much bigger, punch much harder and have excellent handspeed, enough perhaps to come close to matching Ali. Though Ali did have an excellent chin, I don’t that it would help him out in this case, because he would be getting him by fighters weighing 30-40 lbs more than him, and much more powerful. Even if Ali wasn’t knocked out by them, he’d still likely get cut up and stopped due to the bleeding. I know, some people will point to Ali’s victory over George Foreman, saying that if he can beat him, then he must be good enough to beat the super heavyweights in this day and age. However, the Foreman that Ali beat in 1975, wasn’t in shape fighter nor was he together mentally. Foreman wasn’t prepared the tactics Ali used, and had they fought a second time, Ali would have been either knocked out or soundly beaten. Obviously, this is why Ali never fought a rematch with Foreman, for fear that he would be facing a smarter, angrier Foreman, who would have been wise to his tricks. Of the top heavyweights, I’d say that Ali would have the best chance at beating Ibragimov, mostly because he’s the more limited of the heavyweight champions. Still, though, Ibragimov is much tougher and more skilled than any of the 60s or 70s heavyweights that Ali went up against, and would probably pound out a decision against a young Ali. 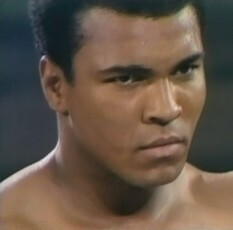 Boxing » News » Muhammed Ali: Could He Match Up With Today’s Top Heavyweights?